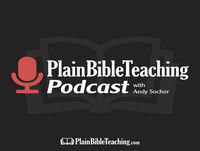 In this season, we’re discussing Peter’s admonition to add to your faith (2 Peter 1:5-11). One of the qualities are are to add to our faith is self-control. In this episode, we discuss what this is, what it looks like with and without faith, and how we go about adding it to our faith. If you found this episode to be useful, please share it with others. Also, if you enjoyed the podcast, please leave a rating on iTunes or Stitcher. This also helps others hear about the podcast. Thanks.